Hardness/Janka: 1360; 5% harder than Northern red oak. Dimensional Stability: Average (change coefficient .00365, 1% more stable than red oak). Sanding: Good resistance to splitting;excellent holding abilitiy. Finishing: Absorbs finishes more evenly than red oak. Does not bleach well. Comments: During the finishing process, tannins at the surface can react with some liquids to turn wood gren or brown. This effect tends to be more pronounced with products that have a high water content, such as bleach and water-based finishes. 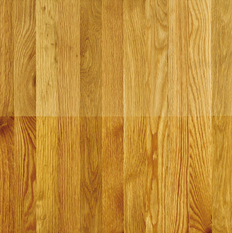 Commodity item, available in nearly all types, styles and sizes of flooring, including parquet, strip, plank and veneer, both unfinished and prefinished.